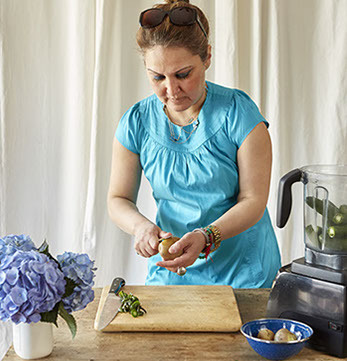 Tanya Tracy is the culinary force and Chief Food Officer behind Gourmet Home Cooking, a purveyor of fine food products including baked goods, chutneys, pickles, dips, relishes and pasta sauces. Her inventive East-meets-West mix of flavors has garnered her buzz among foodies in New York City and the Hamptons, where she’s known as the “Chutney Queen.” Tanya has trained at Manhattan’s renowned Institute of Culinary Center but calls upon the tastes and techniques she picked up in her native India to inspire her creations After a career in Wall Street, Tanya turned her love of experimenting in her own kitchen into her full-time passion. She worked with her mother to develop new chutney flavors with seasonal fruits and unexpected ingredients such as blackberry mango, pineapple lavender, rum raisin, apricot and cilantro peanut among many other delectable flavors.